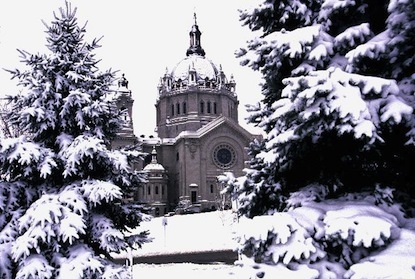 The Cathedral of Saint Paul is the Mother Church of the Archdiocese and a parish community of faith rooted in the Roman Catholic tradition. Our mission is to know, love and serve our Lord Jesus Christ. The center of our life is the Sunday Liturgy, where we come to know Christ in one another, in Sacred Scripture and in Sacrament. We educate in the faith, minister to those in need, extend hospitality to all and contribute to the cultural and spiritual life of the city. 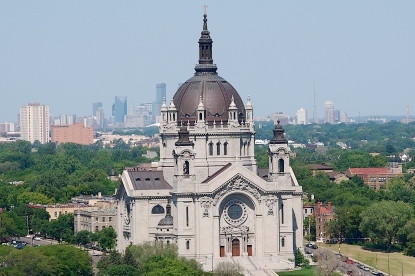 The Cathedral of Saint Paul is identified by a growing number of Catholics as their primary parish. 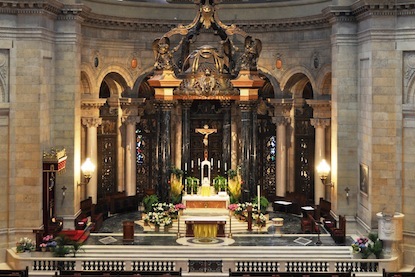 As a parishioner, you actively participate in the abundant life that Jesus Christ offers through the Sacraments, community prayer, activities of service and outreach, and formation in the fullness of the faith offered at the Cathedral. 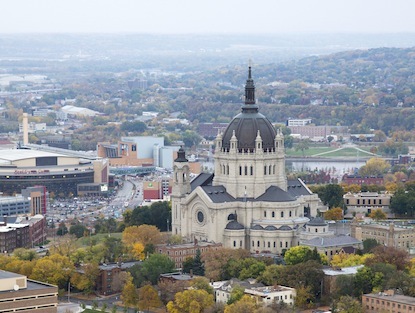 Parish membership at the Cathedral involves a commitment to sacrificially offer gifts of time, talent and treasure to support and share in the mission of the Cathedral of Saint Paul. For a membership application form, please contact Michelle Adam, 651.357.1474, or visit the Cathedral Parish Offices (M-F, 8:30 a.m.-5:00 p.m.). The status of Associate/Friend of the Cathedral is offered as an acknowledgment that many people are actively connected to the Cathedral while formally belonging to a primary parish elsewhere. Becoming an Associate/Friend of the Cathedral is an important way of formalizing your occasional, yet regular, connection to the Mother Church. As an Associate/Friend of the Cathedral, you are expected to financially support the Cathedral in proportion to the Cathedral's role in support of your faith-life. Packets are available after Sunday Masses. 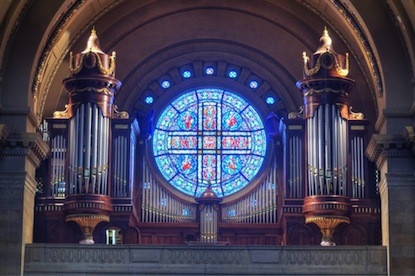 The Cathedral parish relies on the financial support of Members, Associates/Friends of the Cathedral, and visitors to maintain our facilities and provide excellent liturgies and programming. Please read more about financial stewardship and volunteerism at the Cathedral. We do not have online membership registration. To register as a Member or Associate/Friend of the Cathedral, please visit our Welcome Center on the Cathedral's lower level on the weekends (Saturday, 8:30 a.m. - 5:00 p.m.; Sunday, 8:00 a.m. - 2:00 p.m.) or stop by the parish office in the Rectory (239 Selby) during regular business hours (M - F, 8:30 a.m. - 5:00 p.m.) to pick up a registration form. If you are already a Member or Associate/Friend of the Cathedral, please keep us up to date with your contact information. We have an easy Change of Address form you can use.